REFRESH 02 - #LAYERS,Contemporary Art in the Digital Era : A group exhibition curated by Fabio Paris for IMAL with Marco Cadioli, Alessandro Capozzo, Pier Giorgio De Pinto, Luca Grillo, IOCOSE, Kamilia Kard, Eva & Franco Mattes, Marco Mendeni, Martina Menegon, Filippo Minelli, Simone Monsi, Alice Palamenghi, Guido Segni, Emilio Vavarella and Carlo Zanni. Le Raffinerie, Bruxelles. A room with Views Group exhibtion with Marco Cadioli, Francesco Gagliani,IOCOSE, Kamilia Kard, Marco Mendeni curatated by Tiziana Gemin. IED, Milan, Italy. #LAYERS: A group exhibition curated Fabio Paris for LINK ART CENTER with Marco Cadioli, Alka Cappellazzo, Pier Giorgio De Pinto, Luca Grillo, IOCOSE, Kamilia Kard, Eva e Franco Mattes, Marco Mendeni, Filippo Minelli, Simone Monsi, Alice Palamenghi. Spazio Contempoanea gallery, Brescia, Italy. Stato Solido, Group exhibtion with Andrea Alvino, Marco Cadioli, Kamilia Kard, Tony Light, Marco Mendeni, Flavio Scutti. Galleria Kalpany, Milano, Italy. 6 P.M.Your Local Time: Melons, Skrewdrivers and other Tales. A collective exhibition with Marco Cadioli, Alessandro Capozzo, Matteo Cremonesi, Kamilia Kard, Marco Mendeni, and Flavio Scutti. WeMake, Milan, Italy. En Plain Art, permanent public art collective exhibtion. Brescia, Italy. A new installation designed with Paolo Rigamonti for HubLab is shown at L'Architettura del Mondo exhibition. Triennale Design Museum, Milan, Italy. Two installations designed with limiteazero are shown at Homo Sapiens exhibition. Museo Tridentino di Scineze Naturali, Trento, Italy. Three new installation designed with limteazero are shown at Homo Sapiens exhibition. Palazzo delle Esposizioni, Rome, Italy. Some new and old works have been included in Living Codes group exhibition curated by Domenico Quaranta. Paci Arte gallery, Brescia, Italy. Talea has been showed at Interferenze Festival, exhibition curated by Valentina Tanni. Bisaccia, Italy. New installation has been commisioned by INFN for Invisibile Meraviglia exhibtion. Museo di Scienze Naturaii, Turin. New installations have been commisioned by INFN for Astri e Particelle exhibtion. Palazzo delle Esposizioni, Rome. Exuvia has been included in KIOSK, a goup exhibition curated by Yves Berrnard and Domenico Quaranta for STRP festival. Eindhoven, The Netherlands. Talea has been selected for File in Rio. Rio de Janeiro, Brazil. 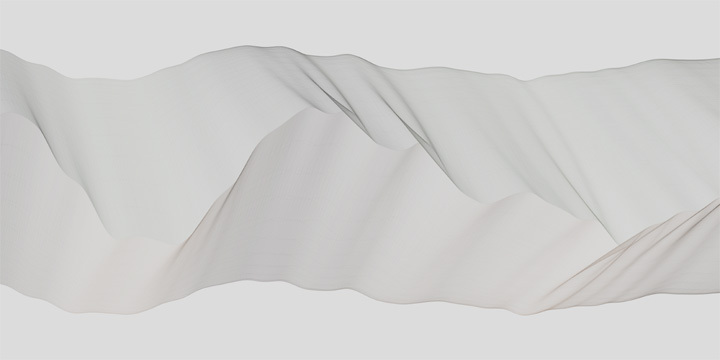 A short paper, Generative. *; Six point of friction, has been included in Struttura #3 / Organica; A catalogue and colllection of essays published by Clueb. Italy. code.specific(alpha); has been selected for 404 Festival. 29th May - 2nd June, Trieste, Italy. 4th - 7th June. Basel, Switzerland. Exuvia will be exhibited at Cartes Flux festival. Espoo. Finland. Software installation for "Archetipi dell'anima" group exhibition. Palazzo del Comune. Cremona, Italy. Relations has been inclueded in Optronica generative animations selection ( with works by Dextro, David Muth and U-Sun). Exhibition organized by Cinefeel and curated by Françoise Lamy. Le Cube, Paris. France. code_in_motion Lab. A Processing workshop for designing sound reactive software. Teachers: A. Capozzo and F. Franchino. Turin, Italy. Morphogenetics second step. A software art panel at Festival della Creatività organized by Media Boulevard, with Valentina Culatti, Fabio Franchino, Limiteazero and Team sounDesign. Florence, Italy. I will take part in Morphogenetics, a software art panel, at Struttura festival with Leandro Pisano, Laura Bardier, Fabio Franchino and Team sounDesign. Livorno, Italy. code.specific(alpha); has been included in FILE RIO 2007. Rio de Janeiro, Brasil. Exuvia and Relations will be exhibited at 'IN_RETE' Miniartetxtil 2006. Chief Curator, Luciano Caramel. New Media Art Curator, Domenico Quaranta. Como, Italy. code.specific(alpha); has been selected for FILE 2006, Electronic Language International Festival. Sao Paulo, Brazil. Exuvia will be exhibited at Siggraph 2006 ArtGallery. Boston, USA. C.stem at Allegretti artgallery. A group exhibition of generative art. Turin, Italy. Collaborative exhibition with Katja Noppes at "Ex Cantieri navali" as part of "Ultimissimi", four art exhibition curated by Sonia Rolak. Venice, Italy. New printed works will be exhibited at C.stem. The collective exhibition will include also new works by Fabio Franchino, Limiteazero and Marius Watz. Turin, Italy. Some abstract-codex software will be exhibited at MixedMedia. Festival of new media art, architecture and audiovisual performances. Hangar Bicocca, Milan. Italy. code.specific(alpha); is a new work created for @WEB, a net art group exhibition curated by Corrado Mora for sitespecific.it. Ad Libitum and 6 Flora Variations have been included in FILE RIO 2006. Rio de Janeiro, Brazil. Some applets have been added to Mousikelab Gallery. Neaple, Italy. Some Abstract-Codex works have been selected for 404 International Festival of Electronic Art. Rosario, Argentina. Software installation for ClubToClub festival at Fondazione Re Sandretto Rabaudengo. Turin, Italy. Ad Libitum has been selected for FILE Festival 2005 in Sao Paulo, Brazil. Machfeld (aka Sabine Maier and Michael Mastrototaro) kindly ask me to collaborate to their VISP installation project. It will be exhibited at medien.KUNSTLABOR, Graz, Austria. ABSTRACT-CODEX has been selected for Videomedeja Festival in Novi Sad, Serbia and Montenegro. ABSTRACT-CODEX has been included in Weblife, a net.art selection for P.A.V (contemporary art exhibition of Time in Jazz festival), Berchidda (Sassari), Italy. Weblife exhibition is curated by Valentina Tanni. Ad Libitum has been included in Dots and Lines, an online exhibition for the BBC website in collaboration with the Sonic Arts Network in London, UK. Exhibition curated by Honor Harger. Abstract-Codex has been selected for WRO 05 International Media Art Biennale competition at Wroclaw, Poland. Kindly Ema Tomatucha ask me to collabotate to RGB 2.0, an interactive installation/performance, at Prague Entermultimediale Festival, Czech Republic. ABSTRACT-CODEX presentation and screening at EXPA gallery, Palermo Italy. Some sketches featured in "FLASH HACKS" by Sham Bhangal - O'Reilly Media - USA. Ad Libitum has been added to soundtoys.net. Relations have been selected for FILE Festival 2004 in Sao Paulo, Brazil. Interactive Arborization added to Interaxity, a motion tracking installation in Gent. Proce55ing workshop at Dorkbot Gent, Belgium. The Italian Processing reference is complete! If you see any errors or have any comments, please contact me. "Relations environment" added to processing.org exhibition.